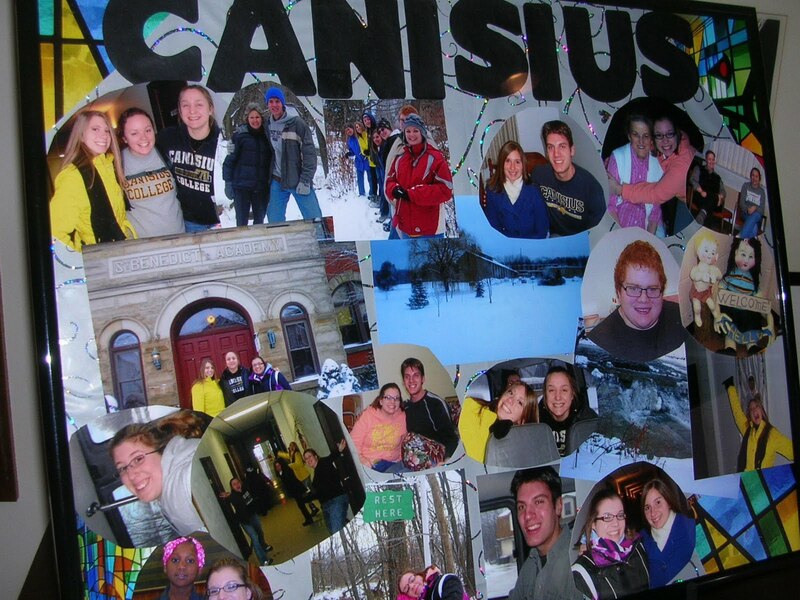 Saturday morning seven Canisius College students squeezed into their oversized van and headed out in a light January snow--back to their urban Buffalo campus and a return to the life of a student---after a week "as a monastic." This is the first time we've hosted students at a semester break although there will be two groups here again in March for their "alternative spring break" weeks. It was perfect to have a group from the Great Lakes region, as they found the daily beautiful snowfall "normal" and maneuvered around and within it easily and with great spirits! I was so impressed by their willingness to enter into all aspects of the life-- they all attended every single morning prayer--that's 6:30 am. 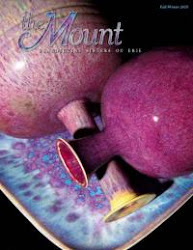 They mentioned our prayer, both its constancy and its depth, in many of their reflections on the week. It was quite an experience for many of them. Their presence last week, along with students from a local college who came for a day-long retreat, too, has had our place "hopping," as they say. As luck would have it one of the students shared a birthday with one of our sisters. The birthday party held Friday night--with lots of laughter, charades, an electronic edition of Password and ice cream and cake--was a perfect send off for them. Luckily, Monday is a holiday and most of us will have the day to "recuperate." Hospitality is a marvelous ministry but a bit of double duty working all day and hosting all evening! The students, I'm sure, will be in a similar state as they go into re-entry before their new classes begin Tuesday. Here's the gift they left for us. There will be a slide show of their visit and the birthday party on our community site today, if it's not there already.